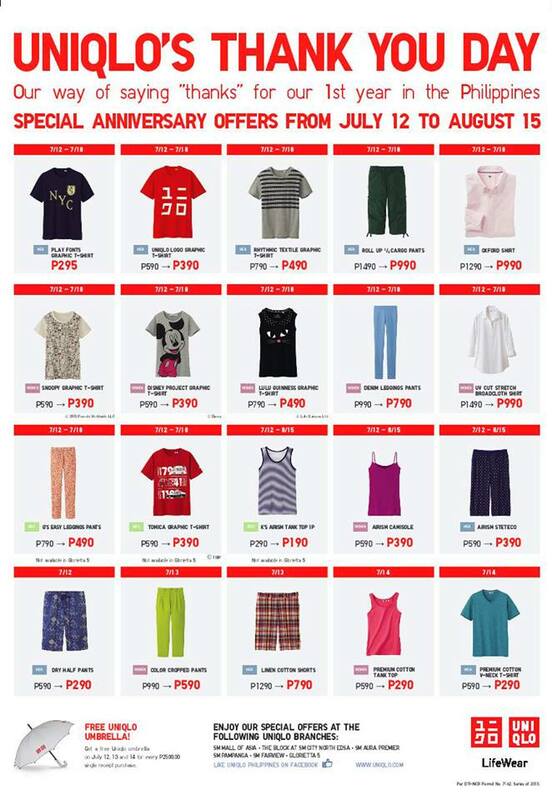 It's been a year now since UNIQLO invaded the Philippines and as a way of saying thank you to their Pinoy customers, they are having a sale from July 12- August 15, 2013. Get loads of discounts on shirts, pants, polo shirts and more. You'll even get a FREE umbrella when you purchased P2,500.00 worth of items : single receipt purchase.